The birthplace of the department store was Paris. The Bon Marché opened in 1852, soon followed by Printemps (1865) and the Samaritaine (1869). Existing shops in the United States- Stewart in New York, Wanamaker in Philadelphia and Marshall Field in Chicago-adopted the format during the 1870s. The department store brought together a series of retail methods tested out in smaller European and American shops earlier in the century, for example, the proto-department stores in industrial cities in the north of Britain (Lancaster, chapter 1). The department store proper was distinctive from previous experiments in its scale, lavishness, and resonance with the society that spawned it. The early Parisian stores were hugely influential models for subsequent stores springing up all over the world. 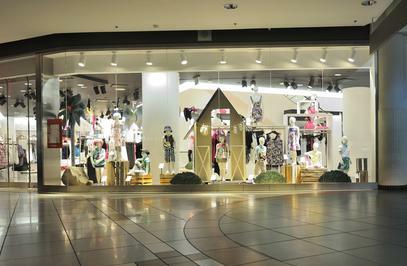 The history of the department store has been largely located in Western Europe and North America. The arrival of the format in East Asian cities such as Shanghai and Tokyo in the early twentieth century has been associated with westernization, but the stores were often locally owned and managed, creating complex issues surrounding their identity. The conditions for the rise of the department store lay in late-eighteenth-and early-nineteenth-century industrialization and urbanization, which led to the growth of prosperous, urban, middle-class populations and the ready availability of mass-produced consumer goods, along with an increasingly sophisticated understanding of the pleasurable rather than merely utilitarian possibilities of consuming them. Important department stores were situated in urban centers, on principal shopping streets, working in conjunction with other shops, entertainment venues, and transport networks. However, well-heeled suburbs also had department stores in their high streets. By the late nineteenth century, considered the hey-day of the department store, these shops had become emblematic of metropolitan modernity and were famously made the backdrop of Émile Zola's novel The Ladies' Paradise. 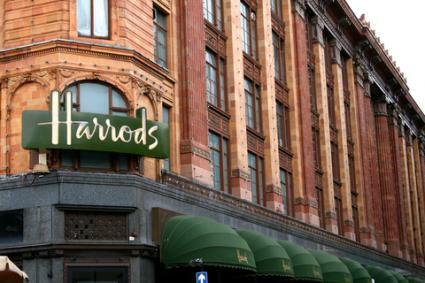 The major department stores of each important city- for example, Harrods, Liberty's and Selfridges in London- quickly became urban landmarks and cultural institutions, cited in guide books as tourist attractions. During the early twentieth century, American stores took the lead as innovators, becoming increasingly influential on their European counterparts. During the interwar and early postwar periods, while alternative shopping sites were developing, fashion magazines such as Vogue show that the big department stores retained their central position within urban consumption practices in many cities. However, despite stores' attempts to address broader sections of the population, the opening of teen departments and the provision of new buildings, fundamental modernization of the format did not occur. The combined competition from the multiple store and alternative boutique in the urban high street and from the suburban shopping center and out-of-town mall led to a slow decline in the cultural and economic importance of the department store from the 1960s, accelerating during the 1980s. There were several factors that increased a store's chances of survival: possession of an international reputation, such as that of Harrods, London; absorption into a larger group, such as the House of Fraser or the John Lewis Partnership; positioning on a major metropolitan shopping thoroughfare or as the anchor in a shopping center. The early twenty-first century has witnessed a revival of the metropolitan department store, connected with a renewed focus on luxury goods and designer fashion, prime examples being Selfridges and Liberty in London. The department store has proved to be enduring. An important innovation of department stores was their wide variety of merchandise, breaching the boundaries of previously largely trade-specific shop-keeping. Many of the early department stores actually developed from smaller existing shops, most commonly drapers. They grew department by department, taking over neighboring properties to house the expanding businesses, until it was necessary to provide a new building or reface the existing ones to provide coherence. Department store pioneer William Whiteley famously boasted that he sold "everything from a pin to an elephant." The system worked on a basis of low margins and high turnover. The stores were certainly a place for the sale of mass-produced goods and have been associated with the rise of ready-to-wear clothing. However, most stores continued to provide traditional tailoring and drapery well into the twentieth century. The diversity of stock was matched by an array of amenities and entertainments, including banks, restaurants, travel agents, fashion shows and live music, and services such as free delivery and alteration of garments. Store histories are entwined with those of their owning dynasties, who usually gave their name to their stores, for example, the Wertheims and Schockens in Germany and the Lewises in England. Stores often merged with or were taken over by other stores, for example, the evolving nature of Britain's House of Fraser described by Moss and Turton. The business was organized in a hierarchical, rational, and paternalistic manner. Strict control of the workforce was balanced with benefits such as health-care, pensions, and social clubs. Indeed during the early days many of the employees lived in the upper stories of the building. This practice faded out following several high profile, devastating fires caused by gas lighting and poor fire-proofing of buildings. The stores required vast staffs; for example, Harrods of London had 4,000 employees in 1914. For nineteenth-and early twentieth-century social commentators and novelists, the figure of the young female shop assistant symbolized the dubious respectability, moral ambiguity, and blurring of class boundaries they found so disturbing about the department store. However, until the interwar period, the majority of employees were actually male and lower middle class. Positions were sought after, although salaries were low. From the beginning, the department store was associated with bourgeois consumers. As Miller has argued, "The department store was … a bourgeois celebration, an expression of what its culture stood for and where it had come over the past century" (Miller, p. 3). It was also initially seen as the exclusive province of women. The stores' provision of basic amenities such as lavatories and refreshment rooms made a day trip to town newly accessible for suburban and provincial middle-class women, enabling them to take advantage of improved public transport networks. Early department store owners, such as William Whiteley of Bayswater in London, were vocal in their claims to make shopping in the city a safe and respectable activity for unchaperoned women (Rappa-port). However, they also attempted to exploit feminine desires using new ideas about consumer psychology. The distinctiveness of the department store model lay as much in the presentation of shopping as a pleasurable leisure activity as with the nature or number of goods available. Previously, shopping models had largely favored counter service and the acknowledgment of an obligation to buy once the shop was entered. In the new stores, the role of the retail staff was redefined and a different kind of shopping was encouraged, characterized by window shopping and browsing through displays of goods with fixed and ticketed prices. These practices drew on the cultures of the international exhibitions that followed London's Great Exhibition of 1851. All this, it was believed, would encourage impulse buying. During the early twentieth century, department stores began to cater to men with dedicated departments. In 1936 Simpson Piccadilly opened in London's West End, claiming to be the first department store entirely for men. The lower ground floor alone was designed to house a barber's shop, soda fountain, gun shop, shoe shop, chemists, florist, fishing shop, wine and spirit shop, luggage shop, snack bar, dog shop, sports shop, cigar and tobacconists, gift shop, saddlery shop, theater agent, and travel agent. During the opening months the aviation department even exhibited full-sized airplanes. The opening of the store coincided with new ideas about masculinity, which allowed for the adoption of shopping methods previously labeled feminine. The Lady (7 May 1936) commented on this, "It is amusing to find that the man's shop is designed and set out with all the allure of one devoted to women's luxuries. Shopkeepers, evidently, do not share that masculine theory that a man always knows just what he wants and so is immune from display or advertisement." Zola called the department stores "cathedrals of commerce" and they were certainly associated with lavish, striking, and fashionable architecture, acting as an advertisement for the goods inside. Famous and innovative architects were often employed: Victor Horta designed Innovation in Brussels (1901), Louis Sullivan designed Carson Pirie Scott in Chicago (1899-1904), and Erich Mendelsohn designed the Schocken store in Stuttgart (1926-1928). The Scotsman commented on the opening of Simpson Piccadilly in London designed by the modernist architect Joseph Emberton, "the building is an expression in every way of the modern spirit" (4 May 1936). But the buildings were not just fashionable shells. 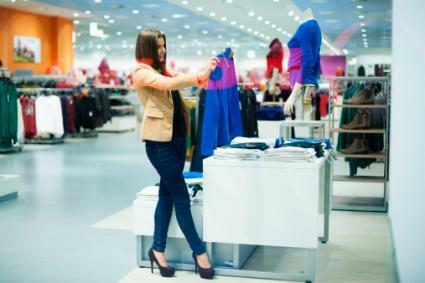 The latest technological advances were used to assist the retail process. Iron then steel frames created vast uninterrupted expanses of floor space and plate glass technology facilitated story-high bands of display windows flanking the shopping street. Inside, escalators and lifts were installed, helping to sustain a continuous flow of customers between the street and the upper echelons of the building. Pneumatic tube systems were provided for communication and placing orders. Tiers of galleries allowed light from the roof to penetrate the shop floor, assisted by the pioneering use of first gas then electric lighting. Lighting was also used on the facade of the building- floodlighting, lit signage, and window illumination-so that the stores had a nighttime presence in the city, catching the eye of revellers. Department stores led the way with developments in retail display, with opulent displays of goods inside the stores, in the shop windows, and sometimes spilling onto the streets. Displays were often themed in relation with events being held in the stores or national celebrations. It was the shop window in particular that became emblematic of the department store's contribution to the urban spectacle and seduction of customers. The early department stores had a particularly sophisticated understanding of the power of advertising. To the consternation of traditional smaller-scale retailers, significant amounts were spent on newspaper and magazine advertisements, and on regular publishing of catalogs, the Bon Marché in Paris distributed 1.5 million catalogs. In 1894 (Crossick and Jaumain p. 12). This emphasis on design, display, and advertising was integral to the new kind of shopping promoted in the department store, encouraging consumption through the exploitation of visual pleasures. See also Boutique; Liberty & Co.; Retailing; Shopping; Window Displays. Crossick, Geoffrey, and Serge Jaumain, eds. Cathedrals of Consumption: The European Department Store. Aldershot, U.K.: Ashgate, 1999. The key text in the field: an excellent and diverse edited collection of essays. Lancaster, Bill. The Department Store: A Social History. London and New York: Leicester University Press, 1995. A comprehensive study of the British department store in social historical terms. Leach, William. Land of Desire: Merchants, Power and the Rise of a New American Culture. New York: Vintage, 1993. A lively account of the American story from the 1890s to the 1930s. MacPherson, Kerrie L., ed. Asian Department Stores. Richmond, Surrey U.K.: Curzon, 1998. Miller, Michael The Bon Marché: Bourgeois Culture and the Department Store, 1869-1920. Princeton, N.J.: Princeton University Press, 1981. A case study of the first department store, highlighting issues of class and business methods. Moss, Michael, and Alison Turton. A Legend of Retailing: House of Fraser. London: Weidenfeld and Nicolson, 1989. A detailed, well-illustrated account of one of Britain's most important department store groups. Rappaport, Erika Diane. Shopping for Pleasure: Women and the Making of London's West End. Princeton, N.J.: Princeton University Press, 2000. A contextual study of the department store in its West End location in the Victorian and Edwardian eras, focusing on issues of gender. Zola, Émile. The Ladies' Paradise. Oxford U.K.: Oxford University Press, 1998. This is a translation of Zola's novel Au bonheur des dames, first published in 1883, reputedly based on the Bon Marché.